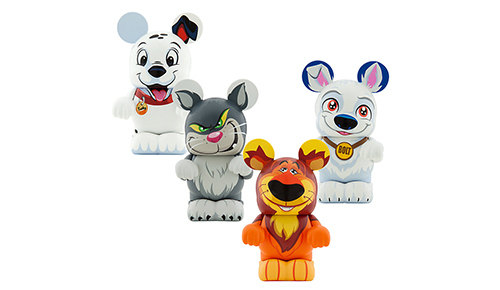 “Quality of our products is of the utmost importance, so we apologize to any of your readers who might have found issues with their Whiskers and Tales Vinylmation Series. So why has this happened, AGAIN? Where is the excuse for that? I’m shocked that this is actually a person responding and not the auto message stuff they send out. Oh I noticed that it was an actual person. But the rest of it is still scripted. I’m more ticked that they didn’t give a reason. Even more so, the fact that this was released with this bad a quality. This is one of the first series where I feel the quality went CHEAP. Some are awesome in the series….but Nana was left UNFINISHED! It’s pretty bad to have paint issues at this price point from a Disney product and it is even worse when they forget to paint the design on…especially half way. They painted on the bonnet ties around her neck BUT, forgot to paint on the bonnet!!!!! The ties lead to nowhere. Looks ridiculous. I really wanted her, but now I will wait for a better FINISHED one hopefully in the future. If this is true they should really let all their stores know about it. I attempted to exchange my damage Figaro, and they were completely unaware of this. either. I would call customer service or even print out a copy of the response we posted here and show it to them. Celebrate Gospel at Disney’s California Adventure Feb 16th!